Wow! With 24 accessories, the Janod Brico'Kids magnetic bench allows them to develop their safety skills and imitate handy members of the family! Say goodbye to finding nails hammered into your table, because this fun-filled toy gives your child’s imagination a safe medium to run wild. 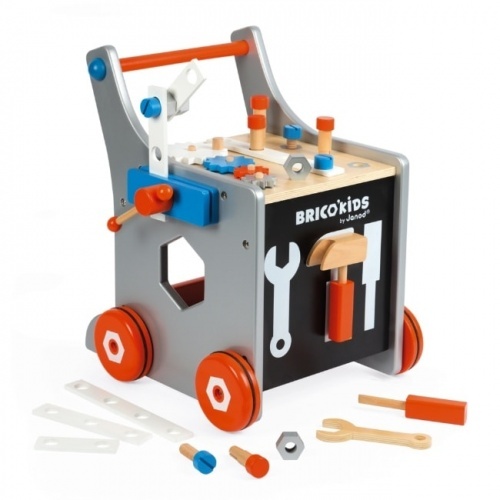 Featuring a large work surface with a four-wheel gear for turning objects, a chalk board and a large tray underneath to store accessories, this toy will grow with the little builder in your family. 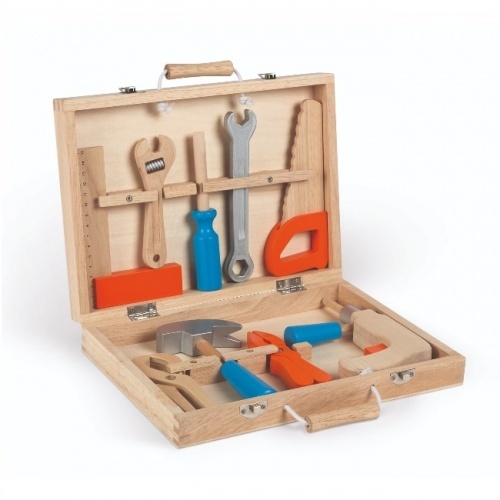 Includes - 24 accessories (including 3 magnetic tools), 3 pieces of coloured chalk.